Festival, Vocal, Music, Nithyashree, Mahadevan. 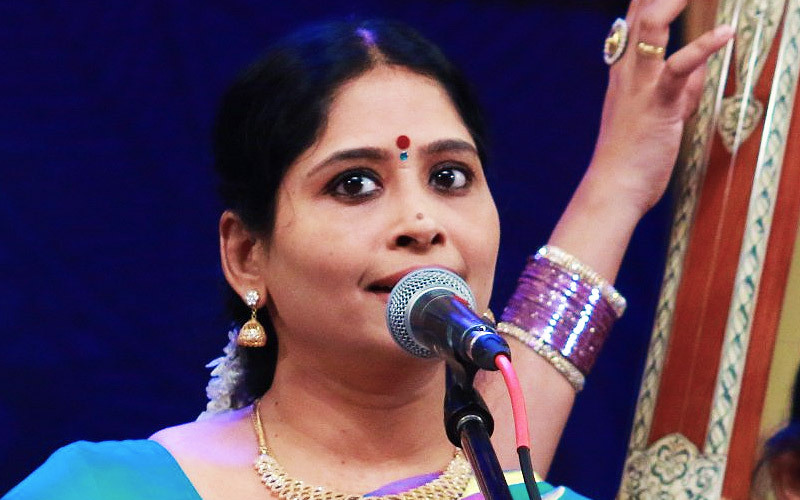 Nithyasree Mahadevan (born 25 August 1973), also referred to as S. Nithyashri, is an eminent Carnatic musician and playback singer for film songs in many Indian languages. Nithyashree has performed in all major sabhas in India and has presented her concerts in many destinations around the world. She has received multiple awards and honours, and has released more than 500 albums. Nithyasree was born to Lalitha Sivakumar and Iswaran. Sivakumar. Her paternal grandmother, D. K. Pattammal, and her great uncle, D. K. Jayaraman, were prominent Carnatic vocalists who were established disciples of Ambi Dikshithar, Papanasam Sivan, Koteeswara Iyer, T.L.Venkataramayyar and others. Her maternal grandfather was the mridangam maestro, Palghat Mani Iyer. Nithyasree first learnt music from her mother, Lalitha Sivakumar. Like her mother, Nithyasree was also the disciple of D. K. Pattammal, and would accompany her in concert. Her father, an accomplished mridangist and disciple of his father-in-law Palghat Mani Iyer, constantly shows his support and accompanies her when she performs. 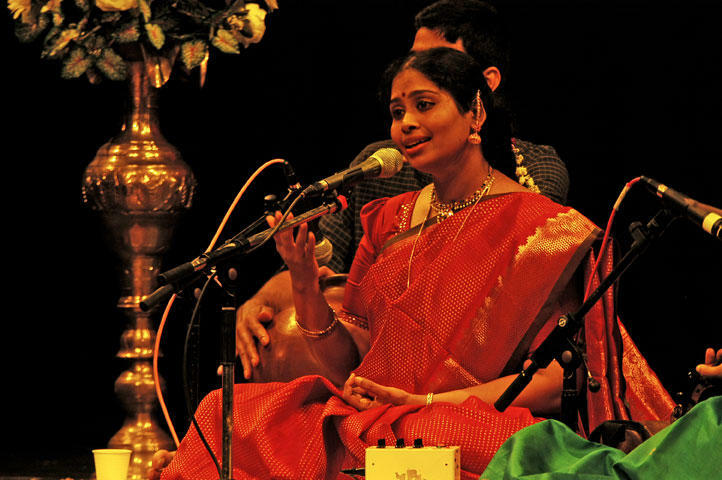 Nithyasree has also been vocally accompanied in some concerts by her niece and disciple, Lavanya Sundararaman. Nithyasree was married to V. Mahadevan, a mechanical engineer, until his death in 2012. Tanujasree and Tejasree, their two daughters, have also accompanied their mother on stage in concert, and gave their first performance on television during a guest appearance on Airtel Super Singer Junior, a musical talent TV show telecast by Vijay TV. Nithyasree Mahadevan has composed music for songs, and has composed background scores for studio album recordings. 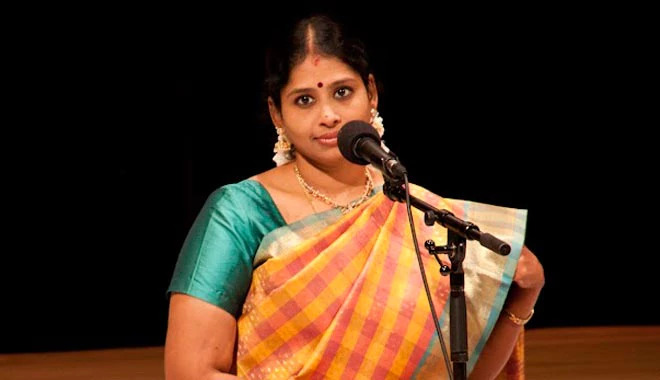 Nithyasree Mahadevan was one among the singers who sang the "Semmozhiyaana Thamizh Mozhiyaam" song for the World Classical Tamil Conference 2010. She also appeared on the screen after Aruna Sayeeram and was followed by S. Sowmya. Nithyasree is a "Top Rank" graded artist of Akashvani, and All India Radio, Chennai. She received the "Best Concert Award" for 6 years from the Madras Music Academy, and won the Kalaimamani award from the Government of Tamil Nadu, who subsequently appointed her as a member in the Expert Committee panel in the "IYAL ISAI NATAKA MANDRAM". During her career, Nithyasree has been bestowed with numerous other titles, and won numerous other awards and prizes.